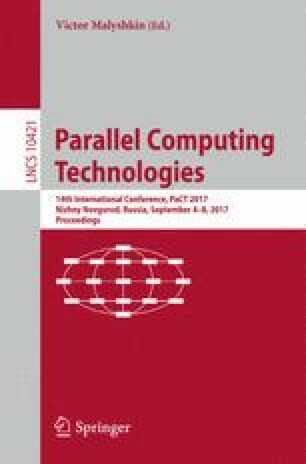 This work considers a parallel algorithm for solving multiextremal problems with non-convex constraints. The distinctive feature of this algorithm, which does not use penalty functions, is the separate consideration of each problem constraint. The search process can be conducted by reducing the original multidimensional problem to a number of related one-dimensional problems and solving this set of problems in parallel. An experimental assessment of parallel algorithm efficiency was conducted by finding the numeric solution to several hundred randomly generated multidimensional multiextremal problems with non-convex constraints. The study was supported by the Russian Science Foundation, project No 16-11-10150.